Few names ring as many bells among domestic investors as Vanguard, an investment fund with over $5.3 trillion of assets under management. The company’s size, age and resume of reputability has led many investors to believe that entrusting the fund with their money is tantamount to placing it in a foolproof safe. Yet according to a report from money.com, a recent incident involving a Vanguard employee showed that this is far from the case. The report states that in order for money to remain in an investment account, the account’s holder needs to display at least some activity on a semi-regular basis. In Philadelphia’s case, funds from accounts that haven’t been accessed for three years are transferred to the State Treasury, where they are held until an heir reclaims them. This most often happens with accounts belonging to the sick or elderly. In 2012, a Vanguard supervisor decided to revise this process by transferring the inactive funds to himself, or, more specifically, his relative. Between 2012 and 2014, Pennsylvania’s Scott Capps abused his position with the company to divert the dormant assets to Lance Tobin, his brother-in-law. From there, Tobin would invest the money in real estate in order to muddy the money trail. The scam went on for two years and netted Capps more than $2 million during the period. Capps did his best to erase any record of the activity while filing tax reports in accordance with his regular salary. Eventually, Capps’ scheme was discovered through unknown means, and the now-former employee and his associate pled guilty to a host of financial offenses. Although Capps can be dismissed as single bad apple, his decades of honest work with the company prior to the incident only suggests that the human factor can, at any point, pose a security threat. Vanguard representatives were scarce in their statements, insisting that this is an isolated incident and that their confidants’ money is secure. The spokespeople also said that every victim in the incident was reimbursed accordingly. But the case has placed doubts in the minds of many investors, especially given Capps’ seniority with the company. By the time of his departure, Capps had been a Vanguard employee for 23 years. Elizabeth Loewy, co-founder of fraud-protection firm EverSafe, said that these cases are more common than people think, even with companies that give off an aura of impenetrable security. 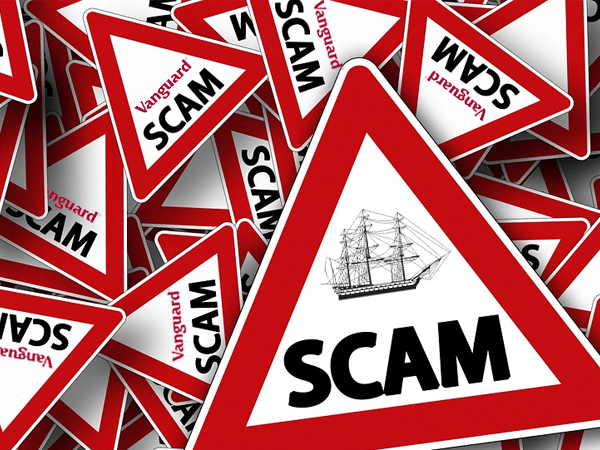 Loewy also said that such scams can often go on for years without being noticed. Birch Gold Group has pulled together an extensive resource guide to help people detect and avoid financial scams. Some scams may be hard to detect, but the Birch Gold Group Scam Protection Resource Guide, now available on our website, can help you be better equipped to identify risks to your finances.